The Northern Royal Rainmaking Centre (NRRC) has explained that due to an inability to seed clouds, rainmaking operations in the North will be suspended in the next few days. 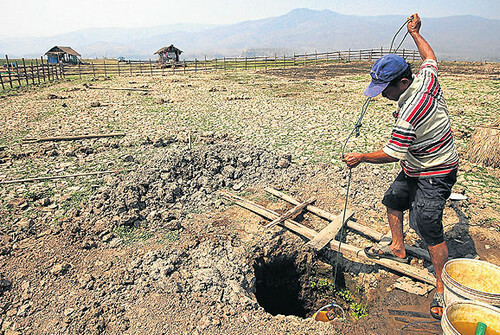 The center detailed that low humidity in the drought-stricken region has rendered the process of rainmaking impossible. The centre is monitoring weather conditions on an hourly basis. It has assured it will begin the rainmaking task over drought-hit areas as soon as the humidity level picks up. The rains are being seen as crucial to combat not only dry conditions but also the annual haze that covers the north and impacts peoples’ health. A total of 2,876 villages in 62 districts of 15 provinces have been declared drought disaster zones in need of urgent assistance. Major dam reservoirs are now holding altogether 44,573 million cubic metres of water, or 63% of total capacity. Only 21,070 million cubic metres of water is available for distribution. The NRRC has opened a unit to assist people affected by haze in 15 northern provinces.